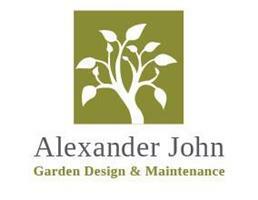 Alexander John Garden Design & Maintenance, Banbury - Garden Services, Landscaper based in Banbury, Oxfordshire. Alexander John Garden Design & Maintenance has been established since 1994. We are industry trained with recognised horticultural qualifications. We have carried out many garden projects throughout the North of Oxfordshire and South Warwickshire villages. We were pleased to be accepted by Checkatrade.com in December 2015 and also the Certificate of Excellence from Bark.com in 2015. We offer FREE consultations and all estimates in writing. We look forward to hearing from you today. Banbury, Oxfordshire, Brackley, Middleton Cheney, Chipping Norton, Deddington, Charlbury, Bicester and all North Oxfordshire and South Warwickshire villages.